By Kate Holton LONDON, July 17 (Reuters) - Billionaire John Malone's Liberty, which bought British cable operator Virgin Media as part of a European expansion last year, said it did not intend to make an offer for the rest of the broadcaster, but ITV shares still rose 7 percent. The sale, at a price of 481 million pounds ($824 million), may also indicate that BSkyB is looking to raise cash to push ahead with its own expansion plans after it opened talks this year to buy Rupert Murdoch's Sky Italia and Sky Deutschland. The purchase is just the latest in a string of deals in the global media sector to buy content and follows ITV's drive to develop its production arm and generate revenue beyond its traditional, and volatile, advertising source. "It is hard to see how this will not be looked at as anything other than Liberty planting a flag in the ground for a potential acquisition at some point," Liberum analyst Ian Whittaker said. "ITV is now likely to be seen as a potential M&A story, especially given recent news flow in the media sector." Just this year, Liberty teamed up with Discovery Communications to buy TV producer All3Media, Discovery took a controlling interest in European sports broadcaster Eurosport and Murdoch's 21st Century Fox has been seeking to buy Time Warner. The cost for buying protection against a default of ITV's debt rose in the credit derivatives market, based on the fact that Liberty Global has a much higher degree of leverage. Moody's Investors Service rates Liberty Global as speculative grade, or junk, while it rates ITV as investment grade. Cable operators have traditionally focused on providing broadband and television to households, meaning they were more likely to be aggregators and re-sellers of programming, but Liberty has owned content companies in the past. 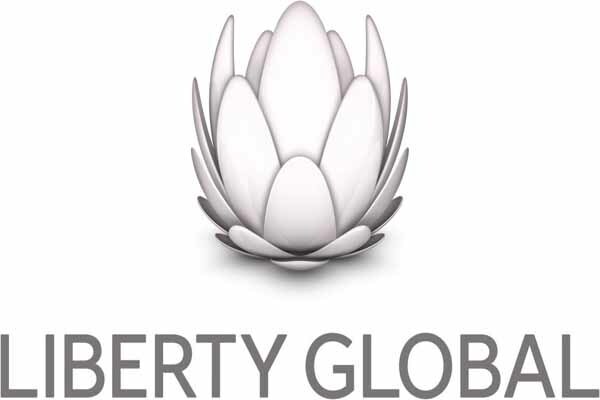 "Liberty Global has previously stated that it would invest in selected content assets ... but this is still a somewhat surprising development," Espirito Santo analyst Andrew Hogley said. "In our view management will need to provide further clarity on the group's content strategy and long-term plans." Dubbed everything from the Cable Guy to Cable Cowboy, Malone made his fortune through a series of deals that transformed and ultimately consolidated the U.S. cable industry into one dominated by a few big players. Liberty Global is now also present in 12 European companies. Two people familiar with the situation said BSkyB had contacted eight banks to auction off the stake on Wednesday afternoon, which pressured Liberty into offering a premium. Liberty then called ITV officials to make them aware of the stake sale and to say it did not intend to make a full bid. ITV, which began broadcasting in 1955 as Channel 3, is known for airing "Britain's Got Talent" and "Downton Abbey". The company, renowned for producing some of Britain's most popular dramas in the 1980s and 1990s such as "Prime Suspect", was hammered during the financial crisis as advertisers and viewers deserted its TV channels. It has since been rebuilt under Chief Executive Adam Crozier by improving the quality of its programming and selling it around the world, which helped non-advertising sources contribute 44 percent of its revenue in 2013. With shares up 6 percent at 195 pence, ITV had a market valuation of 7.9 billion pounds. BSkyB sold the shares at 185 pence, up from Wednesday's close of 183.8 pence. "ITV has a strong studios business (25 percent of profits) with an international presence, and as such should command a premium valuation and be of interest to international companies expanding in content," UBS said. "ITV is trading on 13.2 times 2015 expected earnings per share versus the subsector on 14.3 times, an undeserved discount in our view given the quality of the studios business, the strength of the UK recovery and potential for M&A." The stake sale brings an end to one of the most controversial corporate moves in the British media sector - the decision by James Murdoch, then BSkyB boss, to buy 17.9 percent of the then struggling ITV to block rival NTL from creating a larger, more powerful competitor. The move in 2006 kicked off a long-running regulatory investigation, which eventually forced BSkyB to reduce the stake to 7.5 percent. BSkyB bought the shares in 2006 for 135 pence each, sold more than 10 percent at 48.5 pence, a deep loss, and sold the remainder at 185 pence. NTL went on to become Virgin Media, which was then bought by Liberty. "This is an opportunistic and attractive investment for us in our largest cable market," Mike Fries, Liberty Global's chief executive said in a statement.